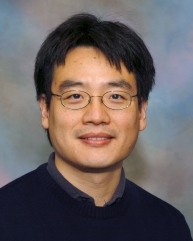 Professor Ren's research interest is generally in the area of theoretical and computational plasma physics. In particular, he works to apply plasma physics to a wide range of applications including astrophysics, inertial confinement fusion (ICF), plasma-based accelerators, and new radiation sources. Since these applications usually involve a very high energy density driver, his research also falls under the so-called high energy density physics (HEDP) umbrella. A key characteristic of his research in this complex and highly nonlinear area of physics is the interplay between theoretical analysis and large-scale Paricle-in-Cell (PIC) simulations. Currently he is actively seeking students to work in this exciting new field.